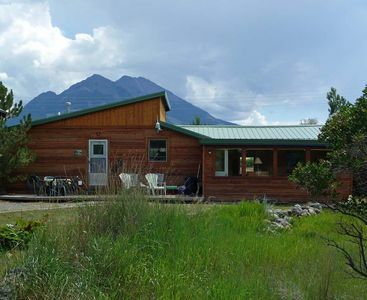 Wifi/ internet and also minutes from the North Entrance of Yellowstone National Park makes this a great headquarters for you and your guest while you spend the day in Yellowstone Park or any one of the many wonderful activities you and your family can do in this area. We include a great activities list we email out to our guest with the best of the best and anything you might need to know to make your stay great. Please note: we do not recommend vans as transportation and four wheel drive is .recommended. 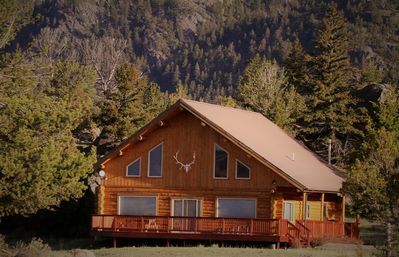 Families and friends that want to experience the park or just have a mountain retreat have come to the right place. 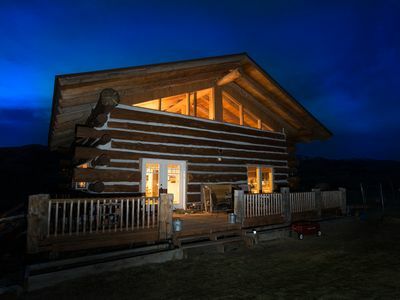 This custom built lodge will be your home away from home. Feel the weight of the world fall off your shoulders as you drive up the mountain road to the lodge. Words don't do justice to the fabulous view you see overlooking Paradise Valley. 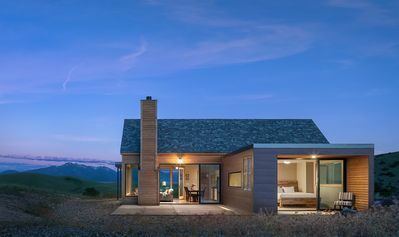 Welcome to Montana can be felt from the moment you walk through the front door in this beautiful custom built lodge. 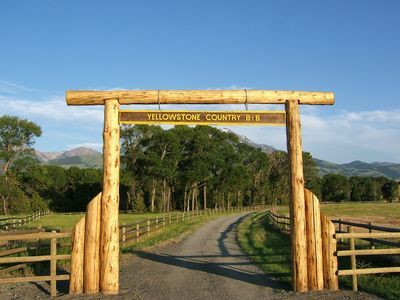 We have access to the best Yellowstone rafting, fly fishing and horseback riding guides in Montana.Yellowstone park tours also. We supply our guest with a activities list of the best of the best in the area from places to eat, guides and all the wonderful thing to do in the area. Local artisans talent and skills were employed along with carefully chosen antiques from around the world to make the lodge truly a work of art. 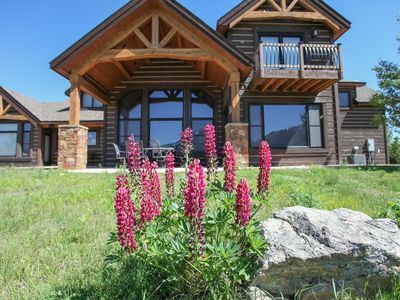 Get away from it all in your own custom built home close to Yellowstone National Park. 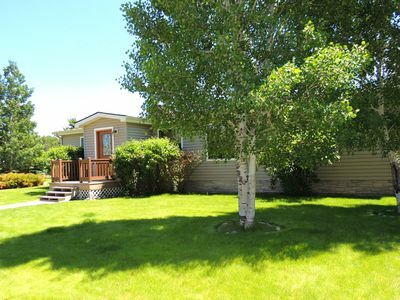 Enjoy the park this year with Shadowood Lodge as headquarters. Cool evenings after a day in the park are just wonderful for throwing a steak on the grill, relaxing by the fire or a nice long soak in an old fashion claw foot tub. The kitchen: A state of the art fully equipped kitchen has top of the line appliance and amenities for the most discerning cook. Cookbooks galore. The huge great room: It has a beautiful stone fireplace and a large hand forged wrought iron gate, cozy leather couches and chairs, a large flat screen tv,(Directv -all channels) and a baby grand piano. 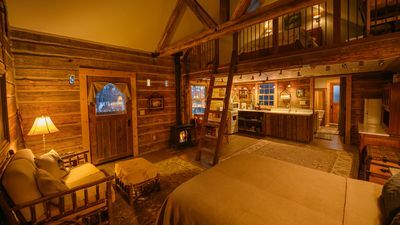 Pecky cypress walls, 35-foot vaulted ceiling, Indian slate floors give the room a wonderful lodge feel. Open, airy floor plan give you all the room a large family or group would need. The beautiful curved cherry wood bar has native Montana wildlife carved in the front. An old Montana Doctors buggy is mounted above. The bedrooms: There are 3 bedrooms and one room with a double bed.Three of the bedrooms open onto a deck through french doors. The fourth. Room is smaller and more private. Each of the three bedrooms has a king and a queen size bed. The room room has a very comfortable double bed for the extra room. 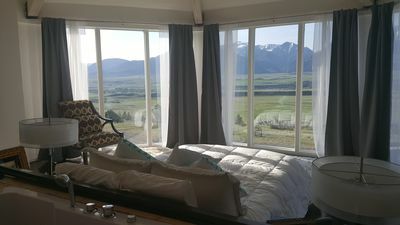 The master bedroom has a king size bed and a queen size bed, a flat screen t.v and doors that open onto a deck, a private bathroom with a large glass block walk-in rainfall shower. The second bedroom has a king and a queen bed, flat screen t.v. and French doors that open onto the large back deck. A bathroom with a beautiful antique stain glass window and an old fashioned claw foot tub with a shower, and two sinks. This bathroom opens into the third bedroom which has two queen beds, a flat screen t.v. a sofa and french doors that open onto the front deck. We also have two queen aero beds should you need more sleeping options. A guest bath off the great room with a that holds extra towels, soap, and t.p. Laundry room: A washer and dryer, iron and ironing board, detergent and laundry baskets are included. Back deck: High in the trees is the back deck. Spacious, with tables, chairs and a barbecue grill make this a perfect hangout after a day in the park . 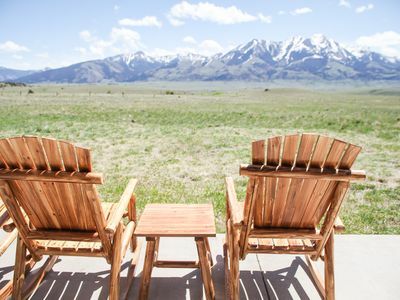 Throw steaks on the grill and everyone eat outside is the perfect ending to a perfect day or sit outside at night and listen to the sounds of nature with a million stars above and you will know Montana peace and quiet. of government wilderness and wild life. Incredible hiking and photo opportunities are a wonderful way to spend time here. western town has cool shops and wonderful places to eat. 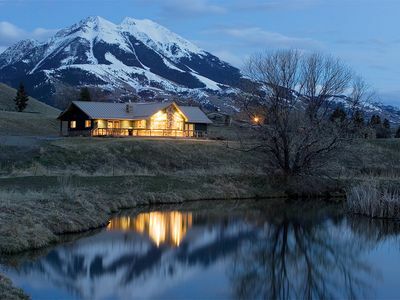 Horseback riding ,rafting the Yellowstone, fly fishing or park tours, we have access to the best. Moose ,elk ,bear, wolf ,fox and bald eagles, antelope, deer are just some of the wildlife that live out the back door so bring your camera. Chico Hot Springs 15 minutes away has a great mineral pool for those tired muscle so pack your swimsuit. 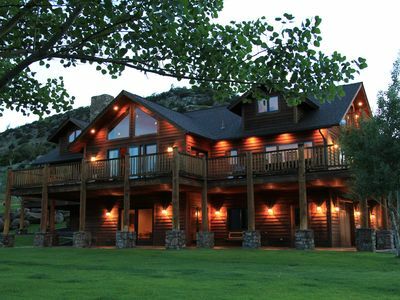 Get together with friends or family and stay a few nights . to help you customize your vacation.Every registered guest will receive a wonderful detailed activities list of all the wonderful things to do in this area. 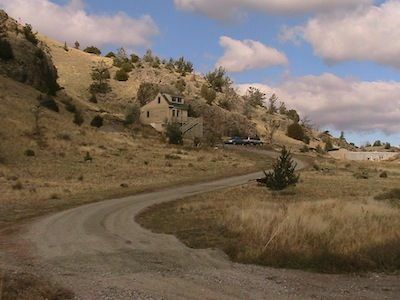 and is located 2.59 miles from the highway. 4 wheel drive is recommended but not mandatory. Fly fisherman welcome! family reunions, birthday parties,mini staycation or as a getaway retreat. 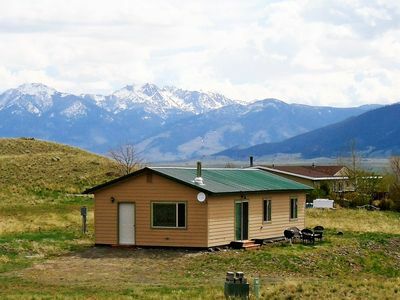 2BR Emigrant Cabin on 10 Acres w/Peaceful Views! Close to the north entrance of Yellowstone National Park! 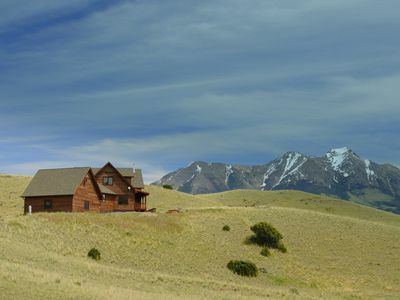 Serene Emigrant Cottage - 25 Miles to Yellowstone! Amazing Views! Reduced Rates for May! Paradise View, 30 min. to Yellowstone! Family Reunions ~ Views! 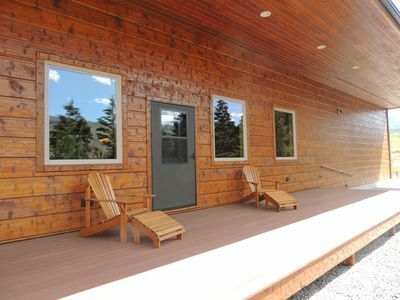 ~ Yellowstone ~ Chico Hot Springs ~ 5% Off Week Rate! 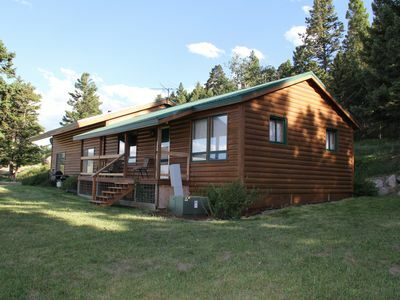 Spacious Log Home 15 min north of Yellowstone Park. Sleeps 12, wrap around deck! 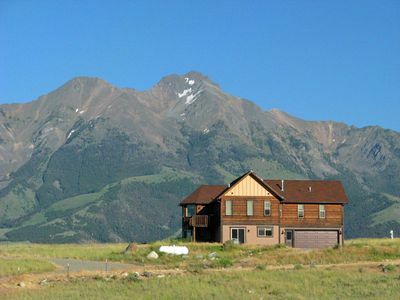 Like new home, sleeps 8, gorgeous views, close to Yellowstone! 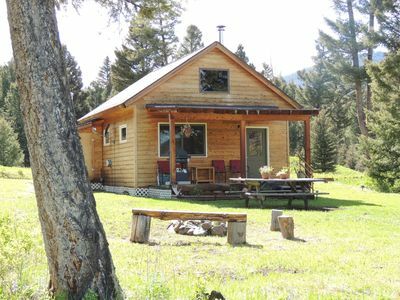 Cozy, Rustic Cabins near Chico Hot Springs! 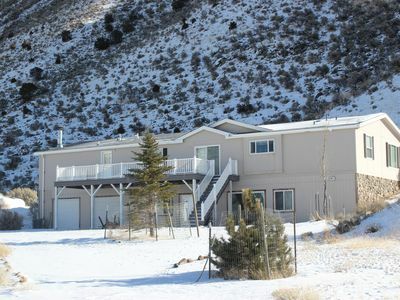 Great location with Yellowstone River access and a pond!